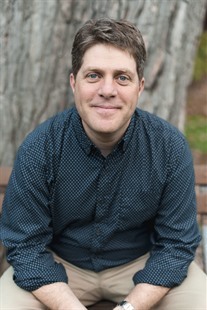 Andrew M. Pomerantz is Professor of Psychology and Director of the Clinical Psychology Graduate Program at Southern Illinois University Edwardsville (SIUE). For over two decades, he has taught Introduction to Psychology as well as undergraduate and graduate courses related to clinical psychology. His research on teaching in psychology has been published in Teaching of Psychology, Scholarship of Teaching and Learning in Psychology, and Training and Education in Professional Psychology, and been presented at conferences of the American Psychological Association and the National Institute on the Teaching of Psychology. He has served on the editorial boards of Journal of Clinical Psychology, Journal of Contemporary Psychotherapy, and Ethics & Behavior. At SIUE, Pomerantz has received the Paul Simon Outstanding Teacher-Scholar Award and was an invited member of the Peer Consultant Team of the Excellence in Learning and Teaching Initiative. He is also the author of the textbook Clinical Psychology: Science, Practice, and Culture. His research focuses on various topics within clinical psychology, especially those related to ethical and professional issues. He has served on the editorial boards of the Journal of Clinical Psychology, Ethics & Behavior, and the Journal of Contemporary Psychotherapy. He maintains a part-time private practice of psychotherapy in St. Louis, Missouri, where he sees adults and children with a wide range of issues and disorders. He also served two terms as president of Psychotherapy Saint Louis, a multidisciplinary therapist organization. He earned his B.A. degree in psychology from Washington University in St. Louis and his M.A. and Ph.D. in clinical psychology from Saint Louis University. He completed his predoctoral internship at the Indiana University School of Medicine Psychology Training Consortium.